Where the good dogs are coming from! There’s three things dog owners don’t do when it comes to discipline with their dogs… actually, it’s two things they don’t do, and one large misconception. The biggest thing dog owners attempt to use with their dogs is what my mentor likes to call our primate desire to add “Or else” to the end of everything we say to our dogs. Dogs don’t have “or else” in their vocabulary. 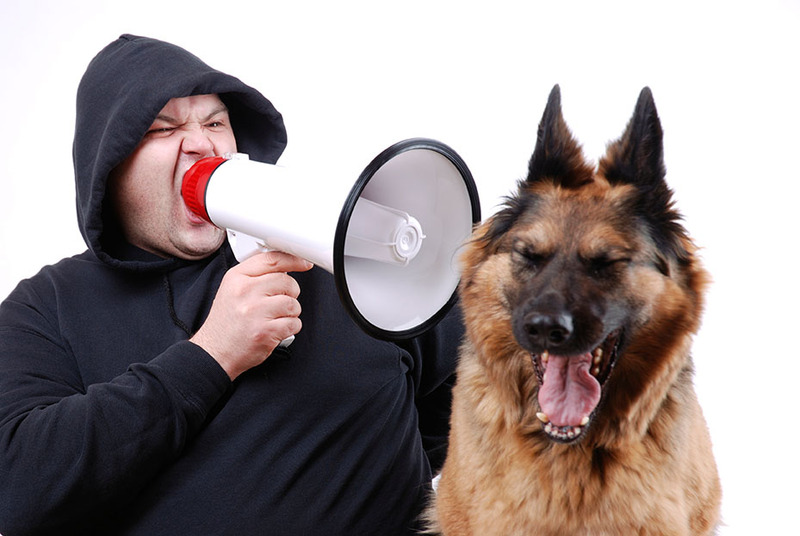 Dog owners have a tendency to voice their frustrations, but not “act” on them. And don’t get me wrong, acting out of frustration is the wrong thing to do, but if most dog owners addressed poor behaviour when it started instead of letting it escalate, you wouldn’t be acting out of frustration. You’d be acting with a moderately level head because YOUR temper hasn’t escalated yet. For many dog owners, they think simply shouting a command or repeating the dog’s name is “discipline” or “addressing the behaviour” when in reality you haven’t done anything. (I state only these two and left out “use to much pressure” because that WILL effectively stop whatever poor behaviour is happening, but that’s not my desired approach, it’s unnecessary and meant for a different article). I find myself saying this all the time now, but it bears repeating because we’ve lived with dogs for so long under a common misconception—dogs are much smarter than we give them credit for. Your dog likes barking out the window at random things (doesn’t matter what). First thing, your dog goes to the window. He pushes the curtain aside with his nose and starts looking out the window. His head darts back and forth until he spots Lucky the Labradoodle across the way walking with his human, and that’s when it starts. A few soft wuffs here and there and this is when the human first enters the equation. Fluffy, no. says the human from the couch/kitchen/wherever they happen to be. The wuffs continue, starting to get louder and louder until their full on barks. The “no” from the human might have been repeated a few times as it normally is, but it’s not until the barking has reach an unbearable level where the human decides to act. It’s at this point that the human must match the dog’s determination and intensity in order to be ‘heard’ so to speak. Here’s what most dog owners either don’t know, or constantly forget. If your dog can get to the window, push the curtain open, stair outside until he finds something to spike his adrenaline up (most likely because he’s board, under-stimulated and in need of being worked), starts barking with no injection of the human (and at this level, saying ‘no’ is not enough) and you only start moving towards your dog—which in the dog’s eyes is the first sign he’s gone out of bounds—then he knows that’s how far he can take it before he needs to stop. This principle applies in many aspects of dog behaviour and can be used for many examples better than this one. Completely and utterly false. In fact, the sooner you act, the less pressure you ultimately should have to use. Dog owners, most of the time, don’t act because they think punishing or implementing a disciplinary action requires them to be harsh and use a lot of pressure, so it’s reserved for when the dog’s behaviour reaches a point that it warrants the punishment in their head. Most of the time by the way, the punishment is shouting or using intense spatial pressure. First, I would examine if I had dropped the ball with the dog today by not working his mind and body and if he’s simply searching for a reason to create drama out of boredom. This happens to be the case for many dogs. The reason for this is, if I simply address the behaviour without addressing the underlying cause (in this case, possible boredom and under-stimulation), then the dog will simply stop engaging in that behaviour and substitute it for a new one that might not get him into trouble if you can’t see it or something you find more acceptable, for instance, going nuts on a chew toy. Next, I would address the behaviour the moment the thought of engaging in the behaviour enters the dog’s mind. So if I’m watching tv and my dog is pacing around the room and I see him fix his gaze on the picture window/door or whatever the case may be, that’s my moment to act. At this point, the ‘punishment’ for this behaviour can be quite soft because the dog hasn’t worked himself up into a frenzy and I can still get through to him with subtly. But the more he adrenalizes, the more pressure I ultimately have to use or the longer I must apply more subtle pressure. My ‘punishment’ at this point is simply making it hard for the dog to engage in the behaviour in the first place. So I’ll use spatial pressure to move him away from the space in front of the window. I’ll continue to do this until he chooses to do something else, or, use an obedience command to redirect him if he has a solid foundation in obedience (which is my goal to achieve before really addressing this type of stuff. As a rule, I’d much rather tell a dog ‘do this’ instead of ‘don’t do that’ if possible). In the event that the behaviour escalates and he ignores my ‘subtly’, then I must work up in intensity to get my point across. The whole point is simply to make it hard for the dog to engage in the behaviour. The most important part to this is consistency. I give my clients a 90 day rule for consistency with bad behaviour. It’s your job to stay on top of the training for 90 days and your goal is to ensure their is a consequence for engaging in the poor behaviour in question every time. Climb up the ladder of escalation as needed based on the information the dog is giving you. What many find is, it doesn’t take a whole 90 days to cure most problems. If you have the mindset of consistency, you’ll address it every time and make the learning process much easier on your dog. Here’s what happens when consistency fails (or when members of the household are inconsistent with the dog). Again, revisiting the point that dogs are smarter than we give them credit for. If you only institute a consequence under certain conditions then the dog will only avoid engaging in the behaviour under certain conditions. So if you are trying to stop a problematic behaviour but your roommate/boyfriend/girlfriend/parents allow it to continue, there’s still hope in abolishing it, but it’s going to take much longer and be more stressful for the dog to grasp what’s being asked of him. Much the same, your dog can easily learn that obedience is only meant for the house and your surrounding neighborhood if you don’t work him in new locations to show him obedience is the rule for behaviour no matter where you go. Dogs have the heart of a gambler. If that slot machine pays out 1 out of 1000 times, they’ll come back for more. Don’t misconstrue that to mean if you allow a problem behaviour to happen once then you’ll never teach your dog not to do it. It just means the less that machine pays out, the less they’ll try and win. It’s important to note, the example above actually isn’t how I would handle a dog with this specific problem. It is simply used as a for instance to make the point of the three things most dog owners do. If you are experiencing problems with your dog, visit http://www.wadesdogmanship.com today ask about my All-In-One approach to dog training and how it can help you have the relationship with your dog that you’ve always wanted. Have you signed up for the dogmanship newsletter yet?